Love your floral skirt and the shoes! Oh I hope you are feeling better now! i hope you're getting better, dear! You look adorable as usual, and yay new shoes!! love ur thrifted shoes too ! 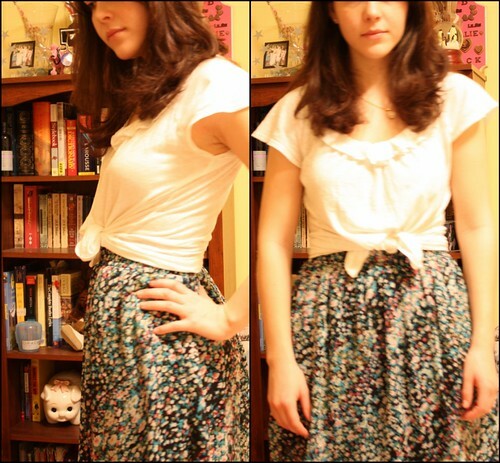 Such a cute skirt and I love how you tied your shirt, lovely idea! Thanks so much for stopping by and for yor kind message. I was wearing leggings, from the cheapest shop in town! 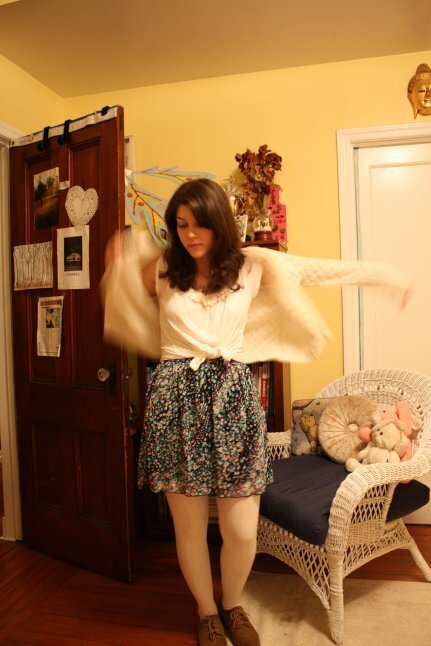 I love your skirt perfect for spring! Cute outfit. Rest up, and I hope you get better soon! oh my your hair is lovely. And a lovely blog too!